This post would be better titled How NOT to Make Hello Kitty Cake Pops or Why Did Mommy Just Throw a Cake Pop Across the Kitchen? My youngest daughter turned 4 on the 4th and the ambitious mommy that I am decided that I would attempt to make her Hello Kitty cake pops. Of course the first place I go is to Pinterest to start compiling all of my brilliant projects in one place. That’s where I found Bakerella’s beautifully crafted Here Kitty, Kitty cake pops (click on the link to see what mine did NOT look like). I also watched her super easy YouTube video on how to make cake pops just to be sure I wasn’t jumping into something that I wouldn’t be able to do. Looked easy enough. Off to the store I went to get cake mix, frosting, candy melts, fancy sprinkles, mini m&m’s, candy sticks, and an edible pen. Do you know how much they charge for those pretty fancy sprinkles?? I just about had a heart attack but bought them anyway – my baby is worth it! We were out of town around New Years so I was left to prepare my cake pops the day before her party. At least I wasn’t waiting until midnight; I got started baking the cake first thing in the morning. I let the cake sit and finished working on some projects for my boss (all while watching the kids play because they were off school still). Now that the cake was cool it was time to get started. Step 2: Add frosting to crumbled up cake. How much? Of it looked like the whole tub of frosting in the video. WARNING!! Do NOT add the whole tub of frosting. This was the biggest mistake I made; however I didn’t realize it at the time because they looked perfect. I guess you are only suppose to use about 1/3 of the tub of frosting for the perfect cake pop. Step 3: Mix well and begin forming your balls. Place balls on a cookie sheet and place in freezer for about 15 minutes to become firm. (Tehehe…balls…firm) This step actually went really well also. Sure they were a little stickier than I anticipated (see Step 2) but they rolled nicely and looked cute. 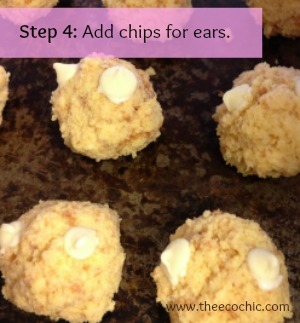 Step 4: Glue on the white chocolate chip ears using frosting or melted chocolate. Again, all is well up to this point! Step 5: Melt your chocolate and get ready to dip! I was using the candy melts that you can get at the craft store and melted them as directed on the back of the package in the microwave. Really, how can I mess this up? Step 6: Dip your sticks in the melted chocolate and insert into your cake balls. Allow the chocolate to harden before moving to the next step. At this point I was beginning to notice that my cake balls were not as firm as they should be. The sticks were not staying in even after the chocolate had hardened. I stuck them back in the freezer for another 30 minutes and tried again. Step 7: Holding onto the stick, gently dip the cake balls into the chocolate. At this point my chocolate started to harden so I stuck it back in the microwave for a few seconds to remelt it. Let’s try this again. Gently dip the cake balls into the chocolate. Hmmm…. Step 8: Remelt and try again. Gently dip the cake balls into the chocolate. The sticks kept coming out and the chocolate was very thick and wasn’t coating my balls well. I’m starting to feel defeated. Step 9: Try again then throw cake ball across the kitchen in frustration. Try again and throw another cake ball across the kitchen and begin stomping your feet, cursing, and telling your kids to please leave the room because mommy is frustrated. At this point my husband had walked in the room just in time to see my toss (err…throw) a cake pop and asked me how much money I had spent on these cake pops. Note: If any spouses are reading this, now is NOT the time to ask that question. Thankfully I thought ahead and had a backup cake mix and frosting so I could make cupcakes instead. My mom was in town and helping me in the kitchen and she’s probably the only person I didn’t yell at (although I wasn’t exactly nice to her either). She was determined to make the cake pops work and tinkered around with them while I make cupcakes and frantically asked for help on Facebook. It was a team effort because as soon as she finished dipping I had to add the accessories (nose and bow) to each one before the chocolate hardened. The weren’t exactly pretty kitties but you could tell what they were. By the end of the night we had about 20 cake pops and a whole batch of cupcakes completed. I wasn’t overly excited about either one since they didn’t look just like the ones from Bakerella but at least we didn’t give up. The moment I knew everything was going to be OK was when my daughter came back into the kitchen and smiled at her kitties and said “Hello Kitty!! !” and began jumping up and down. The next morning we packed our kitties up and delivered them to her friends at her party. Everyone was all smiles and devoured the cake pops. I came home with all of the cupcakes. 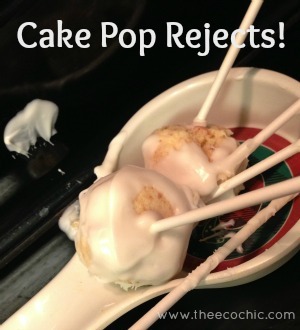 Now, will I ever attempt to make cake pops again? I’m not so sure! 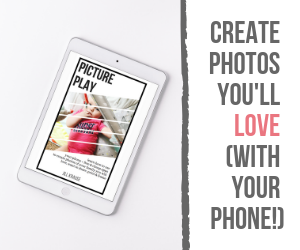 Wordless Wednesday – Peace, Love, Play! tout-est-des-roses Hide and Seek with The Eco Chic When Potty Training Fails What Makes You #HauteGreen? This made me laugh because it sounds just like my first attempt and a few of mine also flew across the room in frustration!!! I had also made mine the night before the “I promise to bring the favors to the baby shower” event thinking, how hard can it really be? Cake on a stick. Glad I am not the only one that struggled (but I’m sorry it was traumatic for you). It does get easier as you learn a few tricks though. I promise!!! 🙂 You are such a good mom for trying though! why aren’t you submitting this to the pinterest fail blog! They look great by the way! I didn’t even know there was a Pinterest fail blog! Do you have the link Hannah? 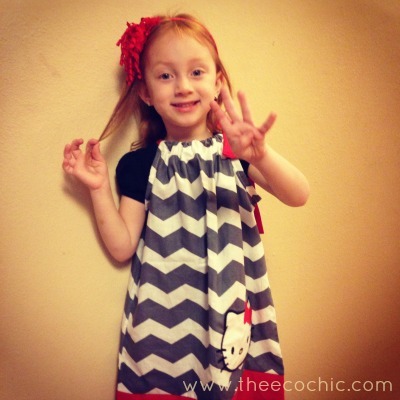 I loved this blog entry! Too funny..at least they liked the cake pops and I guess they were tasty. Haha, next time try the Wilton Hello Kitty Cake Pan. I’ve had my fun with Cake Pops too and there has GOT TO BE some secret Bakerella’s leaving out!! Great article! 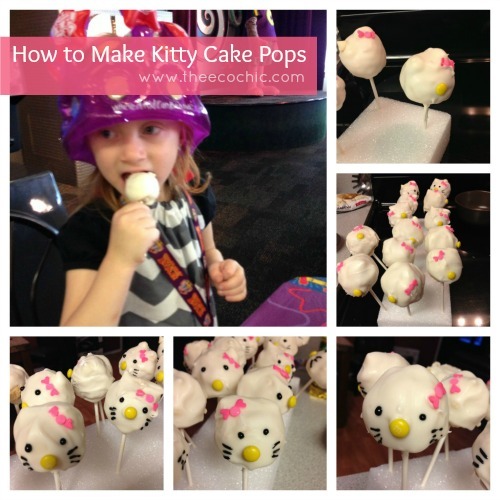 I just googled hello kitty cake pops and came across Bakerellas easy cake pops too! I was thinking of making them for my baby shower…Then i read your article, which i must say is very relatable and on point! Made me laugh and know what im About to get into.